1. 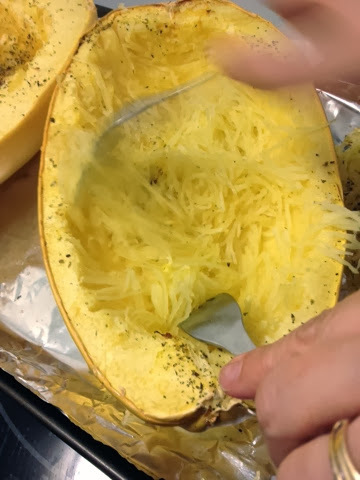 Cut spaghetti squash in half and remove all the seeds and pulp (like in a pumpkin.) 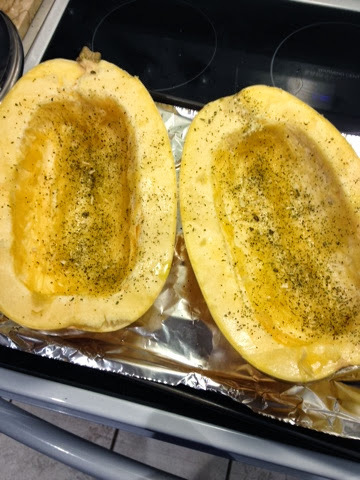 Then put it in the oven plain or add spices and a bit of olive oil. Bake on 375 for 40 mins. 2. 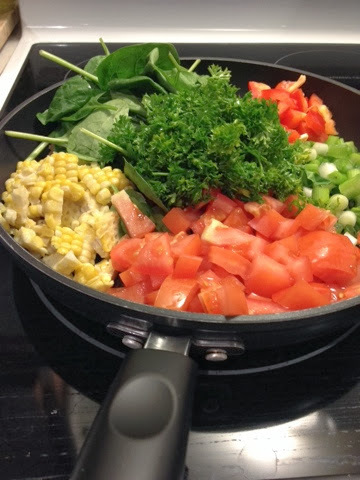 Your sauce can vary... You can make a simple olive oil and parmesan sauce or you can make a vegetarian sauce by adding veggies to a pan, like we did above, and let them all cook to a boil, adding some form of light tomato sauce to the mix. Finally, the sauce we made was another improvisation of what we had in my fridge. 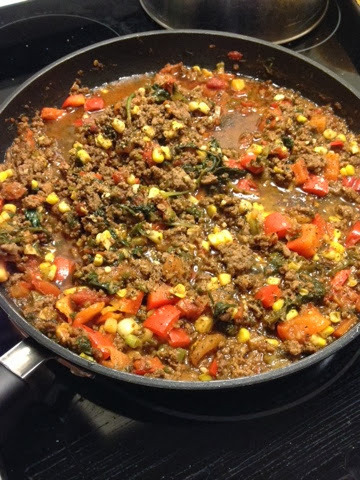 We included all the vegetables you see in the pan above while heating up some taco meat we had made and frozen in advance, for simplicity. It came out great together. 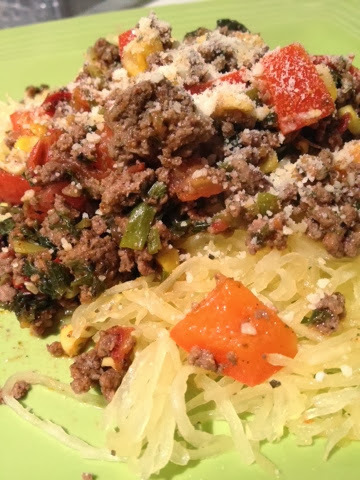 Spaghetti squash is really good but at the end of the day, it is another vegetable so it's important that you make your sauce tasty to balance the meal to make it as close to pasta as it can get! 3. 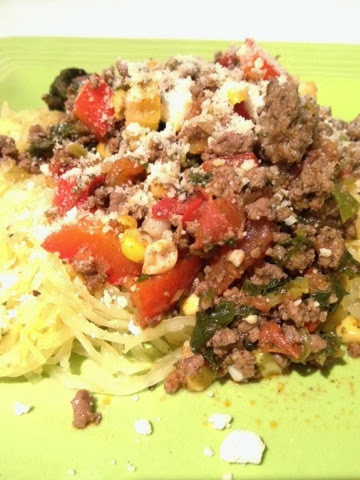 Once the squash is cooked, use a fork and scrape the insides of both halves which should produce spaghetti pasta pieces of squash. Add a cup to each plate and about 3/4 cup of sauce. Note: the calorie count was an estimate of my dinner but all the sauces will be different. But, as as you can see, this can be a very, low-calorie dinner! It tastes much better then expected for a pasta replacement.